The Eagle of the Ninth by Rosemary Sutcliff. Not only is it the top book of this year, it's one of the most remarkable books I've ever read. It starts off sort of slowly but, once the adventure starts, it's one wild ride!! I've rarely felt such suspense or danger in any book. The Lost Hero. 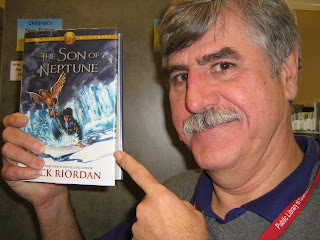 Another winner from the great Rick Riordan. Although The Son of Neptune has more humor, this one has more action and heroics. 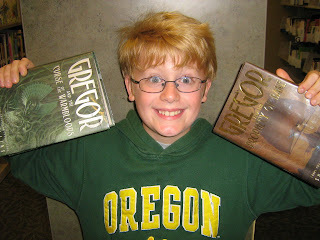 Jason is a hero worthy to be included in the Percy Jackson series. Vespers Rising by various authors. The 39 Clues continues with new and even deadlier villains! This one gives the background on the Chaill/Vespers conflict. Lots of action and some real people from history. 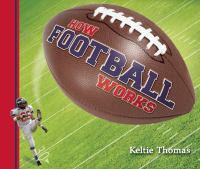 How Football Works by Keltie Thomas. An informative and entertaining book. 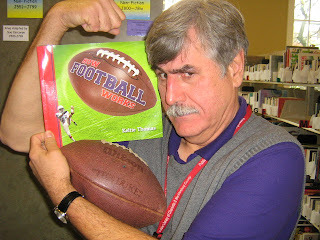 It's got enough information to satisfy new or long-time football fans. OK, guys, what were your favorite books this year? Click on that Comment tab under this post and let us know! Ah, yes, the holiday break should be in full swing for just about all of you. NO SCHOOL!! NO SCHOOL!! Ahhh--excuse me, I was just getting back in touch with my 10-year-old days. Anyway, there's two glorious weeks of NO SCHOOL!! and I thought it would be a good time to recommend some cool books and audiobooks. 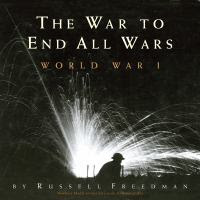 Audiobooks are great for those long rides in the car when you travel over the holidays. Alvin Ho is a second-grader who's afraid of everything. I mean, really afraid. So afraid, in fact, that he carries around a Personal Disaster Kit. In this book, he gets invited to a birthday party, but not just any party--it's a girl party!! What do you do at a girl party? But there's another party for the guys at the same time. Which one should he go to? Will he do the right thing? That might seem like an extremely brief plot summary, but, believe me, there's a LOT more that happens in this book. And all of it's funny!! Just wait until you read about his trip to the homes of dead authors Ralph Waldo Emerson and Emily Dickinson (the authors dead for 300 hundred years), the cowboys and Indians game with second graders hyped up on sugar, what happens when Alvin sees Emily Dickinson at the mall, and the advice on what to do at a girl party. AND THEN---just wait until you see what happens when Alvin finally gets to the party!!!! I won't tell you which one and I won't tell you what happens, but if you don't laugh, well, you just can't laugh! 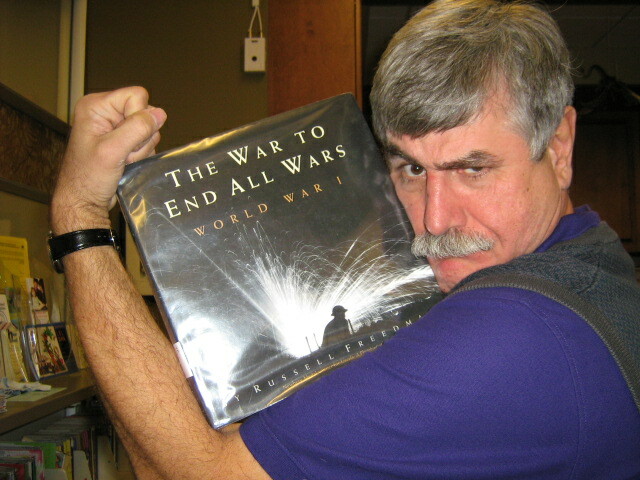 This book receives the Iron Guy Seal as One Terrific Book! There's a new one out: Alvin Ho: Allergic to Dead Bodies, Funerals, and Other Fatal Circumstances. I've got a copy now and cant wait to get to it. Speaking of Alvin Ho, there is a really great audiobook version of the first two books. It's The Alvin Ho Collection: Books 1 and 2 and it's read by an actual 10-year-old boy! 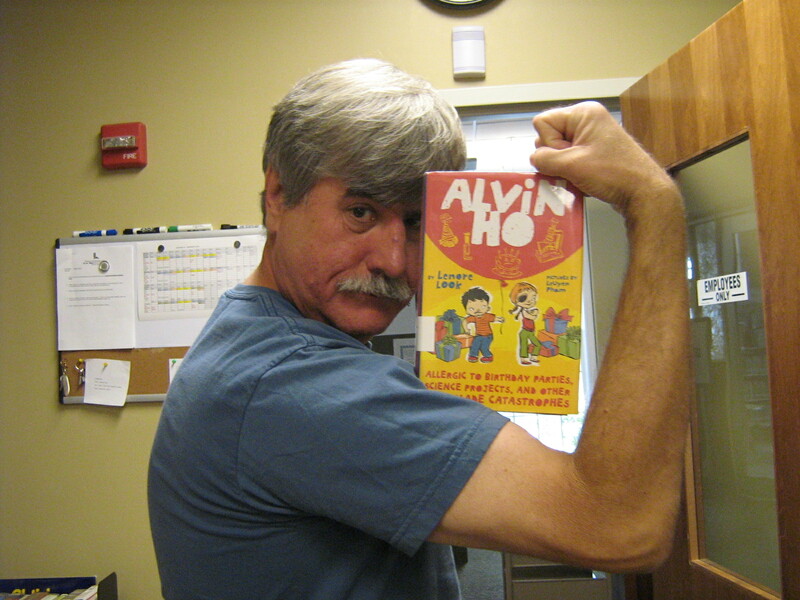 It's really funny, especially when the reader tries to sound like Alvin's dad. 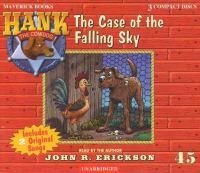 Another good set of audiobooks is the Hank the Cowdog series, written and read by John R. Erickson. These audiobooks are really funny. Hank is sort of a canine Barney Fife, all full of himself and not as smart as he thinks he is. 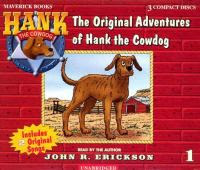 The first audiobook is The Original Adventures of Hank the Cowdog. In this one, Hank, the "chief or ranch security" gets wrongly accused of killing a chicken and goes to live with the coyotes. But then the coyotes decide to rob the hen house and attack the ranchers. Will Hank join them? The second is The Case of the Falling Sky. The ranch's rooster tells Hank that the sky will fall but Hank is too smart to believe him--until Hank has a strange dream and Pete the Cat tells Hank that it's all true. What if they're right?? Hank will do whatever it takes to save the ranch, even if it means climbing on the roof of ranch owner Sally May's beloved and beautifully-waxed car. 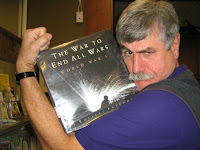 As I said, these books are funny and John R. Erickson does a good job reading them. And I've seen how much kids and grownups enjoy them--the kids in my wife's carpool beg for them, my father-in-law enjoys them, and I actually saw a kid snort macaroni through her nose while laughing at one! Well, I hope you check these out but I especially hope that everyone has a wonderful holiday season!! 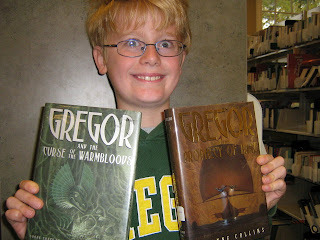 I may be Charlotte's # 1 Rick Riordan fan. The Son of Neptune is a good reason why. It's the latest in The Lost Hero series. AND--blow the trumpets--Percy Jackson is back in this one!! Percy has two major problems as this book starts, though. First, he can remember who he is , where he comes from or why he has a pen that becomes a sword. Second, he's being pursued by the Gorgons, the two immortal sisters of Medusa. Why do they want to kill him? Why do they reform as soon as he kills them? The Gorgons eventually pursue him to Camp Jupiter, a place for demigods but with a big difference--everything in this camp is based on ancient Rome. In this camp, Percy meets two new friends, Hazel and Frank, who have strange powers of their own and some deep secrets. But soon they find that Gaea, the spirit of Earth, is waking and has sent an enormous army of monsters to destroy Camp Jupiter. If that's not bad enough, Death has been chained in Alaska or the monsters can never stay dead. Percy, Hazel and Frank are given the quest to unchain Death and return in five days. Can they get from California to Alaska and back in that short amount of time? Can they survive in an area that's outside the protection of the gods? Even if they do this, can they get back in time to save the camp? You'll have to read it to find out!! If you do, you'll be in for a good time, as you always are with Rick Riordan's books. They are enough thrills, action, fights, danger, monsters, heroes, and impossible quests to satisfy any guy reader. PLUS--Percy Jackson returns in all his wisecracking and heroic glory! And when Percy is around, there's not only adventure, there are laughs! Just wait until you read about the Gorgon who wants to tell everyone about the low, low prices at Bargain Mart, the Roman ghost whose name means Mr. Underwear, or why why there is a feast for tuna. Thrills and laughs--how could you miss with a book that has all of these? Check this one, guys! Go Percy! SPQR!!!! Needless to say, if it's by Rick Riordan, it's One Terrific Book! OOPPSS!! Forgot to give the Seal! 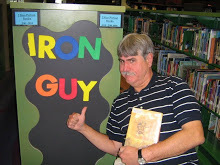 I forgot something very important last Friday--I forgot to give this book the Iron Guy Seal of Approval as One Terrific Book! Got that? OK, in this book, Steve takes all his beloved Bailey Brothers books out to the curb in a garbage can and decides he doesn't want to be a detective anymore (if you've read the second book, you'll know why!) His best friend Dana tries to talk him out of it but then a strange surfer dude pulls up, presents Steve with a really odd problem and asks Steve to solve it. Steve refuses, however, because he's a "retired detective." After that, Steve and Dana get on a train to go to a student United Nations but find some very mysterious things going on. Why is there an extra car on the train and why does no one want to acknowledge it's there? Who is the scar-faced man looking so intensely at Steve? Once Steve and Dana settle in to their ride, more mysterious things start to happen--Steve meets a girl who disappears (does it have something to do with that extra car? ), finds out about a plot to steal fabulously expensive antique automobiles, and gets locked inside a sauna! Someone is desperate to keep the truth hidden. Will this be enough to bring Steve out of retirement? And, if so, can he survive it? As you can see, there's enough mystery and suspense to get any guy hooked. But that's not all; you get a healthy helping of comedy thrown in too. And sometimes you get both at the same time! Just take the scene on the cover--there's Steve on top of the train, trying to track down the bad guy in just his bath robe and shower cap! This book will make you laugh, scratch your head at the mystery, and wonder how Steve will get out of his next tight squeeze. And the retro style of Adam Rex's illustrations fit the book perfectly. This is a great book for guys who like reading and even guys who don't. Some of the chapters are only two or three pages long and that helps the story move along as quickly as a train. So go check it out, guys! You will say, along with Steve and the Bailey Brothers, "This book is ACE!!" PS--if you want to read an interview with Mac Barnett, click here. 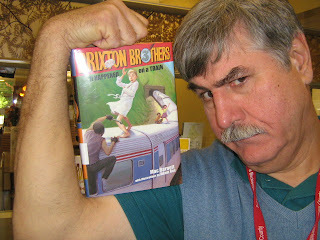 PPS--Note to Sammer: I know you've checked out the Brixton Brothers books. Let me know what you think! 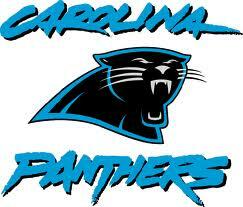 This is a great time of year to be a sports fan. You've got college football, pro football, college basketball and...well, we usually have NBA basketball now too, but this year it will be--different. (Don't get me started on that!) 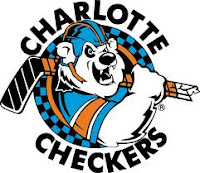 Anyway, Charlotte is a great place to be a sports fan. 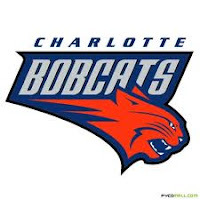 We've got the Panthers for football, the Checkers for minor-league hockey, and the Bobcats for pro basketball--that is, now that we finally get basketball! (Don't get me started again!) Plus, North Carolina has one the great roundball rivalries of all time--Duke and Carolina. So this is a good time of year to tell you about a really good book called How Football Works by Keltie Thomas. It's only 64 pages long but it's chock-full of information and fun facts. You can find out about the basics of football--how it started, how the ball got its shape, what the playing positions are, etc. Then you can find out more, like information on the football field (how do they keep grass green in winter?) or what it takes to be a quarterback (you have to amazingly smart as well as strong) or just how much equipment a player wears (it's a LOT!) On top of that, there are very interesting sidebars, timelines, and a recurring section called Legends of the Game. This is an extremely interesting book and every football fan should check it out. If you're brand-new to the game, you'll learn what football is all about. If you're a long-time fan, you'll find out things you never knew. Either way, this book is a big-time winner. I was lucky enough to get a copy from the very nice people at Owl Kids Press, but you could find one at your local library. So hut one, hut two--make that run and get it! This book get the Iron Guy Seal as ONE TERRIFIC BOOK! I'm thankful that the I finally got the latest Heroes of Olympus book. It's The Son of Neptune by the unbelievable Rick Riordan. I'm only three chapters into it, but WOW, is it terrific!! I'm grateful that the next Cahills vs. Vespers book, The King's Ransom, comes out December 6. 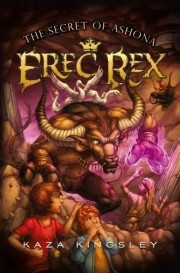 And that the fifth Erec Rex book, The Secret of Ashona, comes out February 5. I'm thankful for reader guys like Michael and Sammer who regularly write in and tell us about very cool books. And I'm also thankful that we live in a country in which we can read the books we like without having to worry if someone will break down our doors in the middle of the night because of those books. It's not like that everywhere, guys. A lot of people in this world are not free to read and we shouldn't take it lightly. OK, everyone, enjoy the day tomorrow and, if you're not too busy chowing down, tell us what YOU'RE thankful for! Michael Tell Us About More Great Reads! Once again, our good friend Michael, that book-reviewing machine, has written to us about more cool books. Let's see what he's liked lately--and get a load of his great new signature! Meet 25-year-old Herbert Timothy Simple and his 13-year-old brother, Nick. After Herbert is fired from the police squad for incompetence, he changes his name to Tim Diamond and starts a private detective agency, Tim Diamond, Inc. But trouble soon brews as Tim and Nick are given a package by a man who is murdered the very next day. The two figure out that the package contains chocolate candy, and that somehow the candy is the key to a five million dollar fortune in pure diamonds. There are also gangters, famed killers, wanted criminals, and even a night-club singer after the fortune too, and they'll do anything to get their hands on the chocolate... even kill. Will Tim and Nick find the diamonds before it's too late, or will they be killed trying? This traditional-style mystery will have you wondering how the clues fit together till the very end. Nick and Tim Diamond are back. When Nick gets framed for stealing a priceless jewel, he's sent to jail to share a cell with the mysterious Johnny Powers. What Nick wants to know is who Johnny and a bunch of other criminals are selling their stolen goods to. But Nick's quest for an answer leads him on a wild adventure that includes being cornered by a lion, jumping from a watchtower, collapsing a roof to a room underneath the thames river, blowing up a million dollars' worth of priceless items, burning Nick's French teacher with sulfuric acid, and much more! This is more of a thriller than a mystery, but it's one of the best thrillers I've ever read, and I highly recommend it to every reader out there! Great book! Paddy Burns, Alfie Huggins, Sophie Bronson, and Juliana Glam are in for the time of their lives. And not in a good way. They're all on the Titanic, which was deemed unsinkable, but is now plunging into the depths of the sea. There are almost twice as many passengers as there are lifeboat capacity, and only one of the four kids makes it to one of them. The other three are left to fend for themselves. 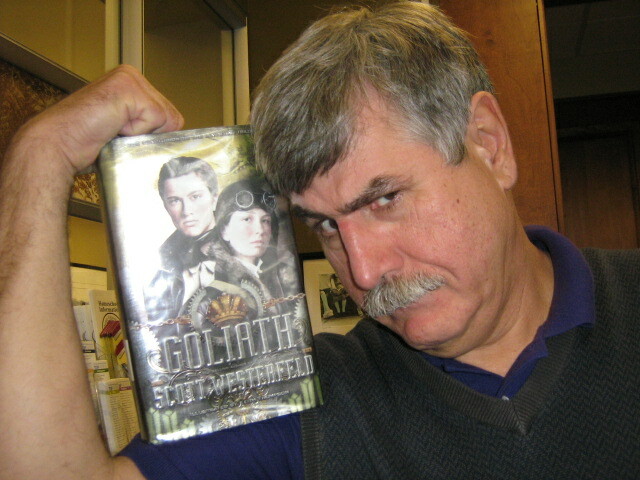 But this book is far from boring historical fiction. While the kids are escaping the Titanic, they are also escaping the notorious murderer Jack the Ripper, who is traveling in disguise. Now that the kids know his secret identity, he is determined to kill them for good: no easy task on a sinking ship. Paddy, the stowaway, is also continuing his escape from Second Officer Charles Herbert Lightoller, who is determined to have him thrown overboard or killed. Help from another ship is on the way, but with hours to wait, can the four kids survive the horrible night of April 15, 1912? With startling true facts about the actual event, this book is a step up from the previous two in the trilogy, and it's bound to have you on the edge of your seat and holding your breath until the very last page! Thanks, Michael! You're a man of many talents! These books really sound good. I'm glad that all three of the Titanic books were good. This one sounds particularly intense! And so do the Diamond Brothers bookS. Well, keep reading,Michael, and all you other readers guys out there. No, indeed! He's not content to simply bask in the glory of his awesome achievement; he's out there telling us about more great reads. On the same day he claimed his prize, he sent us these two reviews. What a guy! Wow I can't believe I got the prize. But I'm here to report two interesting books today. Number One:From the Mixed up Files of Mrs.Basil E. Frankweiler. A great book where Claudia, the main character, doesn't feel treated well enough. So she gets her brother and they run away to the Metropolitan Museum of Art in New York. There they find a statue named Angel and they want to find out if MichelAngelo carved it or not. Number Two:Fablehaven.Another great book. Kendra and Seth are leaving to their grandparents' house where they find out it is a magical preserve for magical creatures such as plotting witches,saytrs[goatmen],and demonds. Will they survive? Read to find that out yourself.